This afternoon was the earth-shattering announcement we've been waiting for -- tycoon Li Ka-shing is retiring. In a live broadcast from Cheung Kong Centre, the 89-year-old said after almost seven decades in business, he is stepping down from both CK Hutchison Holdings and CK Asset Holdings and passing the reins to his younger son Victor Li Tzar-kuoi. 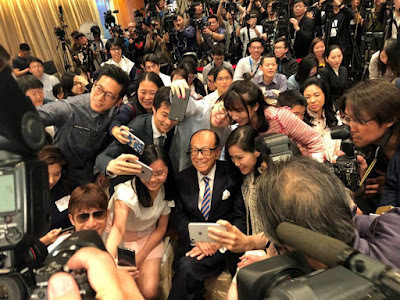 This was no surprise, as the younger Li has been working with his father for over 33 years, while older son Richard Li Tzar-kai "has many other businesses". In a letter to staff that Li addressed them as colleagues, he recalled escaping war-torn China when he was 12 years old and came to Hong Kong. 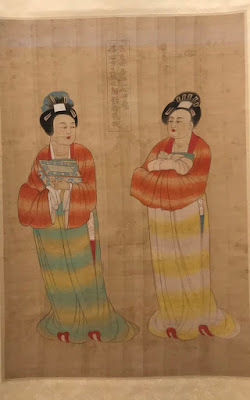 The famous legend of Li selling plastic flowers gave the high school dropout the capital to expand into other businesses, in particular real estate. 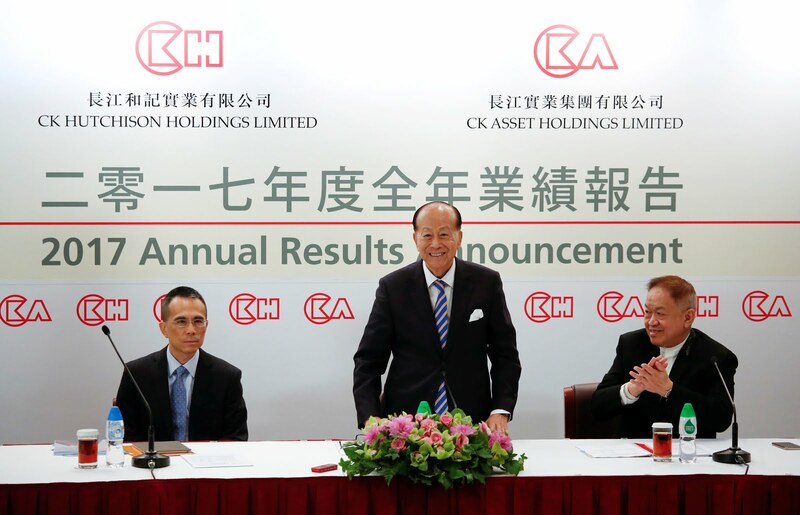 "Not long afterwards, I founded Cheung Kong, the predecessor of CK Hutchison and CK Asset. That was 1950," he writes. "By 1972 I was able to grow the firm into a publicly-listed company -- stock code 001HK." Today the conglomerate includes media, hotels, shipping, grocery stores and oil that has dealings in 50 countries. During his announcement, Li said he would devote time to philanthropy, including the KS-LK Foundation, especially in issues related to healthcare and education. Li finished his tenure on a high, as the companies, including Power Assets and CKI recorded higher 2017 earnings that largely met market expectations. However, the tycoon is stepping down at a time when his influence is already waning. In 2013, dock workers went on strike for 40 days, demanding higher pay and better working conditions. 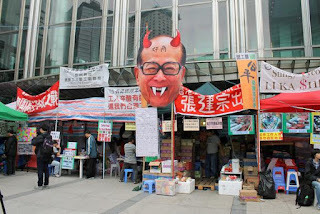 At one point they occupied the front entrance of Cheung Kong Centre with a giant picture of Li's face and devil horns coming out of his head. In the end the dockworkers got a 9.8 percent pay rise, but the public's admiration for Li had nosedived because his immense wealth was compared to the lowly dock worker. Li's reputation further spiraled during the Umbrella Movement a year later when thousands of people occupied the streets in Admiralty, Causeway Bay, Tsim Sha Tsui and Mongkok for 79 days. When it first started, the business elite were silent, and then Li finally spoke. While he said he understood the protesters "passionate pursuits", he believed they should go home, warning them not to "let today's passion become tomorrow's regret". He knew people would be punished, but underestimated that people did not regret their actions, despite the legal challenges the protest leaders in particular faced. And his relationship with China also soured. 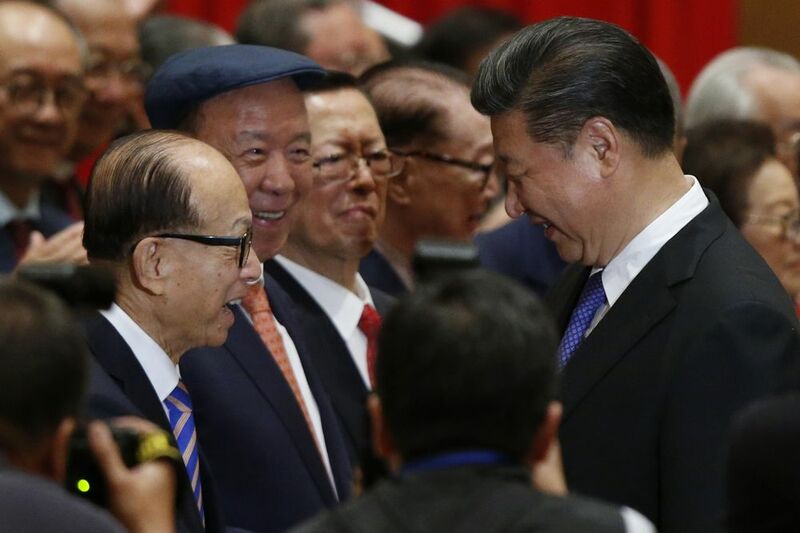 Despite pouring millions of yuan into the country, in 2015 Li decided to cash out, which angered Chinese state media and many mainlanders, who felt the businessman was being unpatriotic. Nevertheless, Li won't be completely retiring. While he will continue to stay on as a senior adviser, it seems Li still wants to keep an active role in the businesses. When a reporter tried to ask Victor Li a question about the company's future investments, his father interrupted as his son was getting the microphone. "I'll answer for him," Li said.